Michael Foran, ASID uses his creativity and your personal style to create rooms that are beautiful and comfortable. Michael Foran is an ASID professional member and has passed the NCIDQ exam. Foran Interior Design is an award winning design firm. We specialize in comfortable luxury living. We are an experienced interior design team providing furniture, draperies, lighting and accessories. "My goal is to give my clients the finest personal service, high quality home furnishings and superior interior design". Please click on our website button to see how we are different. We also provide a selection service for new construction. We use our creativity and your personal style to create rooms that are beautiful and comfortable. Through the years we have developed a series of questions that help capture your style and taste. That way, we are able to provide you with a beautiful environment that is uniquely your own. Welcome To Home Platinum Services, A Leading Home remodeling company. 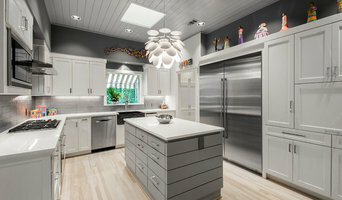 At Home Platinum Services, whether its Home remodeling, kitchen or a bathroom remodeling, we take responsibility for the entire project, from start to finish and eliminate confusion between client, designer, architect, sub-contractors and engineers. After all, we are easy to work with and when you need us, there is always someone to take your phone call! Residential roofing and remodeling in the Dallas, Ft. Worth Texas area. 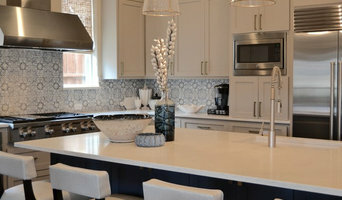 Star Home Remodeling (formerly known as Tile & Stone Design Center) is a remodeling company providing kitchen remodeling, bathroom remodeling and home renovation services in Plano, McKinney, Allen, Frisco, Richardson & surrounding Dallas areas. Our design center is staffed with professionals ready to offer expert assistance with your renovation. We believe in cost effective and process oriented kitchen renovation and bathroom remodeling services that will not only enhance the aesthetics of your home, but also its market value. Please call to plan your visit to our Showroom! 10% Off Any Interior Paint Job! Reach out to multiple professionals — especially for larger projects — and don't settle for the first bid you hear. Comparing multiple Plano, TX professionals' bids and experiences can help you find the one that’s best for you. Ask a lot of questions now, so you won't have unexpected answers later. Find a home design professional on Houzz. Narrow down your search by type of professional and location. Browse Plano, TX portfolio photos, read client reviews and contact each Plano, TX professional for more information. Check out the information in the specialized professional sections too for tips on how to hire the right professional for your project.